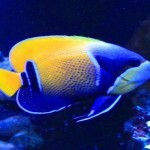 I have seen this question asked many times by people who are considering setting up a marine tank. 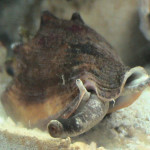 I thought I would put together a short article to give you an idea of the typical marine aquarium maintenance that I have completed and learned about along the way. 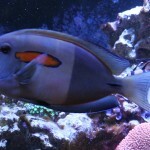 First off I would like to explain that I take the same approach to setting up and maintaining a reef or fish only aquarium. In my opinion, I feel there is only one standard for setting up a marine aquarium regardless if you have corals in your aquarium or not. I base this opinion on the fact that almost all of the fish we keep in fish only aquariums come from or near the ocean’s natural coral reefs. I always prefer to make sure I can reproduce that natural environment as best that I can. Many people will disagree with me on this so I will leave it up to you to decide for yourself. The below is based on my experiences setting up and maintaining my marine aquariums. The exact maintenance routine you should choose to follow will need to be based on the exact needs of your set-up which you will learn with time. Each aquarium will have slightly different needs. I would suggest only start off by using the below as a guide and develop your own routine along the way based on your observations and water parameter test results. A) If you are still cycling your tank, you will need to check the ammonia, nitrites, and nitrate levels in the tank depending on how you are cycling your tank and the exact stage of cycling you are in. Based on your test results, you might have a few other tasks to complete. 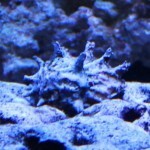 The below link can provide you with more information on cycling a marine aquariums and how the nitrogen cycle works. B) Turning the tank lights on and off. I like to use timers for this but you should still check and make sure the timer is working properly. I once had one of them fail and my tank lights were on for 36 hours or so before I noticed. D) Feed the fish daily. Specific dietary requirements can be different for each fish. The key is to feed enough so there is no left-over food. If there is uneaten food, you will want to remove it daily before it can affect your water quality. E) Top-off for evaporation. This too can be automated, however, you should always check to make sure it is working properly and maintaining the water levels. I would suggest using RO or RO/DI water for topping off your tank. Keep in mind, only pure water evaporates leaving the salt and dissolved minerals behind in the water. The below link talks about the using tap water as compared to RO/DI water. F) Visually check all of the equipment to make sure everything looks like it is working as it should be. This could include things such as: skimmers, filters, return pumps, filters, power heads, heaters, and media reactors just to name a few of the more common equipment used. The longer you have your set-up running, the easier it will be for you to spot potential problems if they happen. G) Check the tank temperature. You want to be able to catch any swings in temperature. I prefer to keep a detail thermometer on my aquariums so I can quickly see the temperature of the tank at a quick glance. H) A quick visual inspection of the plumbing to make sure there are no leaks or changes in flow that could indicate potential problems. This mostly applies to set-ups with sumps or when you have made resent changes to any aspect of any plumbing on your set-up. Typically, most leaks will occur shortly after the plumbing it installed or it has been changed. 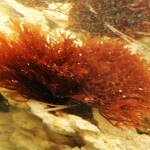 The below articles will give you more information about aquarium plumbing and sump set-ups. I) Dosing supplements to maintain water parameters may also be required depending on the type of marine aquarium that you have and the exact demands of your set-up. This would be based on your weekly water parameter test results. This too can be automated through the use of dosing pumps and some people choose to use a calcium reactor. J) If you have just added a new skimmer, or just finished a complete cleaning of your current skimmer, you may need to make a few minor adjustments to the air intake. A) If your tank was recently cycled (less than 6 months ago) you will want to check your ammonia, nitrite nitrates, pH, phosphate, and salinity levels. B) If your tank has been cycled for about 6 months or more, then you would want to check the nitrate, phosphate, alkalinity, calcium, and magnesium and salinity levels. C) If you are using a filter for your biological filtration, you will want to clean off the filter media in old tank water. This might have to be adjusted based on your nitrate levels as biological filter media can add nitrates to your set-up if not properly maintained enough. 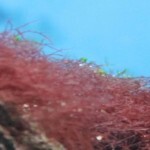 D) Manually remove excess algae. If there is a lot, you may want to make adjustments to your cleanup crew or take steps to reduce the algae. 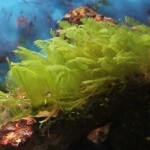 The below link can also give you a few more ideas about removing excess algae. E) Complete water changes of about 10% (total water volume) making sure the replacement water is at the same salinity and temperature as the tank water. The amount of the weekly water change may need to change based on your weekly test results. 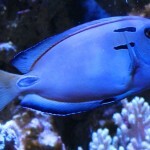 The below link can also give you a few suggestion about mixing saltwater for your water changes. 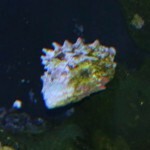 F) In some set-ups, a partial and light gravel vacuuming may be required during a weekly water change. G) Remove and clean any pre-filter sponges or filter socks you may be using. Depending on the exact needs of your set-up, this might need to be completed twice a week. H) Empty and clean the skimmer cup and clean the inside of the neck of the skimmer. Depending on the needs of your set-up and how you have adjusted your skimmer, you might have to empty the cup more than once each week. I) Clean the glass for better viewing. J) If you have anemones, you could feed them once a week. L) Remove any build-up of debris in the sump. A) Complete a thorough filter cleaning which includes the motor. B) If you are using carbon and/or phosphate removers, they should be replaced about every month. C) Clean the splash guards on your lighting or any glass aquarium tops you may be using. This might also need to be completed a little sooner than once a month. You will have to adjust this to the exact needs your set-up may have. The key is to keep these surfaces clean as not to prevent the light from fully passing thought to the tank. There are some things you will need to take care of a few times a year. Although you will not be completing these steps very often, they are still important to complete none the less. It is hard to estimate how much time this can take to complete as it will be based upon the exact equipment you will have which can also be influenced by the size of your set-up. A) Every 3 to 6 months complete a detailed cleaning of the skimmer. I remove mine from the sump and, take it apart, soak it overnight in a 25% vinegar solution before cleaning each part of the skimmer. B) Every 3 to 6 months complete a detailed cleaning of the return pump (sump set-up). I will do the same thing as for my skimmer. Taking it apart, soaking it in the same vinegar solution followed by a very good detailed cleaning. C) Every 10 to 18 months you will need to replace bulbs (T5HO). When I was using T5s, I would replace half of the bulbs every 6 to 7 months. This may vary for metal halide, T8, or T12 bulbs. The below link can help to better understand those requirements. D) Every 6 to 12 months you should clean the power heads. Once again, I follow the same process as I do for the skimmer and return pumps. A good vinegar soak followed by a very good detailed cleaning of each part.